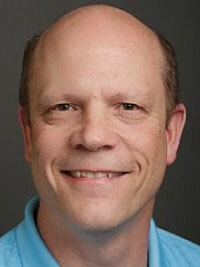 Speaker Highlight: Greg Scott is an author with more than 30 years in the Information Technology industry. He holds several IT Industry certifications including RHCE and CISSP. He also has written popular columns for IT Industry publication ENT Magazine and Enterprise Linux Magazines. About the webinar: As technology and security professionals, we shake our heads with every new sensational data breach headline and wonder why the public and our business and government leaders won’t wake up. I spent years asking that question, until one organization leader said, “Greg, just tell me everything I need to know about security in 25 words or less.” I walked away from that conversation mad, but it also made me reflect how we deliver our security messages to people who aren’t technology professionals. This presentation looks at the sorry state of cyber-security today, and answers that 25 word challenge. Come away armed with a few weapons to present the security case to a non-technical public. We *can* lead our leaders and we *will* win against cyber-breaches and identity theft *if* we communicate the problem and solutions in a manner the public can understand.